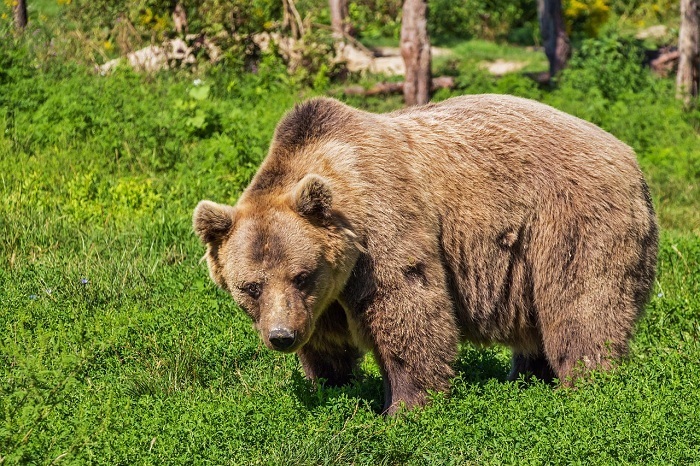 Bear spray has been widely proven to be very effective and it certainly comes handy when you find yourself in the wilderness, trapped with a stubborn bear approaching. 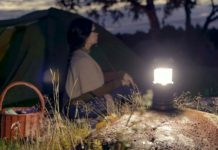 Having the best bear spray can certainly get you out of many precarious positions in the backcountry and it will definitely allow you to make that much-needed escape. We have set out to find the best bear spray currently available on the market today and look at how these 5 products will differ from the other that you can potentially buy. Bear spray is not really all that expensive, but when you are entering the bear country, one can never be too prepared in terms of taking safety measures. Like most products we buy in our lives, bear spray also comes down to quality and getting the best value for your money. Since this is a weapon of self-defense that can be used in life and death situations, there are strict testing and measuring criteria that it must go through before eventually reaching the market. This might seem like a lot of bear spray, but it is always better to be over-prepared for when the time comes that you might need to use it. The other reason for having such a large quantity is the fact that you can use it to push away multiple bear attacks and not just one. This ingredient is one of the main ingredients that is found in chilis and when it does come into contact with human skin or eyes, it will become extremely irritating. This is also the main ingredient that forces the bear to retreat or lose focus and will give you those precious few minutes that you can use to make your escape. No one wants to come in direct contact with a bear, it will certainly not bode well for your health. With 25 feet between you and the bear, you will have the upper hand and you will reach the bear before it even comes close to you. 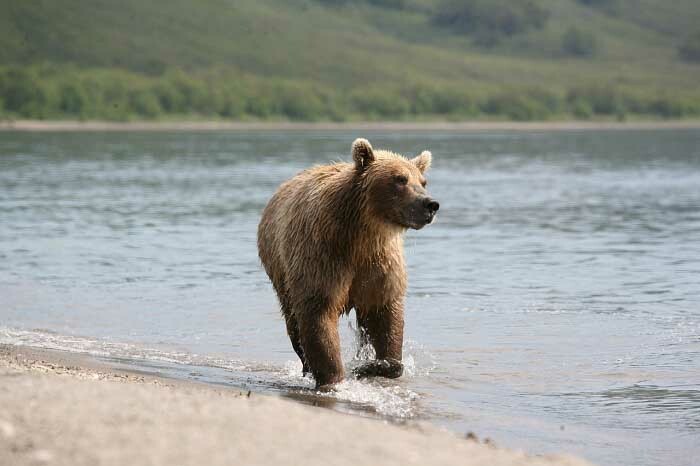 At a range of 25 feet, the bear will immediately stop dead in its tracks and even run away from time to time until the irritant inside the bear spray wears off. The top bear sprays will make a large and expanding smoke-like cloud. The minimum duration of this cloud should also be no less than 6 seconds to give the bear optimal time to breathe in the pepper and find out that the best option will be to turn around and run away. The longer duration of this cloud, the better quality of the ingredients in the bear spray and when you purchase it, you should read up about this or even test the spray. Bear spray will not be any good if it is left in the backpack, in the few moments before the bear does decide to charge, you will not have time to look for it in the backpack. If the bear spray is on hand and readily available, you will be in a position to defend yourself and stave off the charging bear before it comes too close. Lastly, you will need to look at the label and ensure that the label clearly states that the use is to stop bear attacks. Normal pepper spray might work, but it is always recommended that you take the right equipment with you to ensure that you can get the job done when it is needed. These 6 features will be the best things that you could use to rate the bear spray that to buy. We also used this criterion when selecting our 5 main products that we would recommend for anyone looking to go enjoy the backcountry without any hassles and not be afraid of enjoying life between the bears. The 10.2 oz. 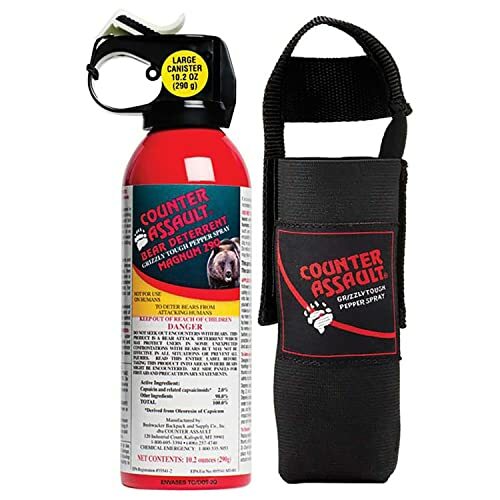 Counter Assault bear deterrent is one of the largest bear spray canisters that you will find on the market today. The spray comes in the enormous 10.2-ounce canister and it can reach up to 32 feet. This is much more than the most recommended bear sprays and will keep the bear very far from you to let you make your escape. This bear spray also includes a very effective holster that can be used to keep the spray on hand and ready-to-use at a moment’s notice. We were also quite impressed by the large smoke cloud and this will also ensure that the bear has a lot of time to ingest as much of the pepper as possible, which could keep them irritated and out of action for a longer period of time. The one downside to such a large canister is the weight. This large canister might be a little uncomfortable to carry along sometimes and this will be irritating. The price is actually quite affordable when you take into account how much more bear spray you will actually be receiving. While normal pepper spray is not generally recommended, the Sabre 3-in-1 Pepper Spray will be the perfect multifunctional spray that you could use to ensure that you get rid of those pesky bears trying to attack you in the wild. The Sabre pepper spray only has a range of around 15 feet, but it does offer you around 35 bursts that you could use to keep those bears away. With a massive 4-year shelf life, you can also be sure that your spray will never go off if you should take a year off from getting into the wild. This pepper spray also leaves a very large smoke cloud and this will keep the bears from getting too close and potentially attacking you. The one main concern we do have is the lack of distance it offers. This pepper should be used with a longer range bear spray as well. 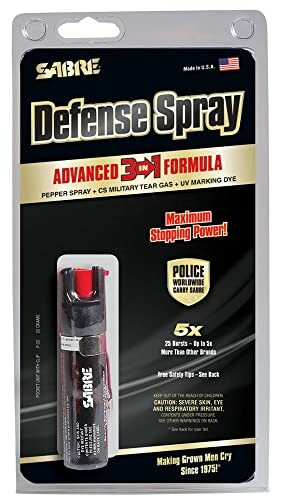 This pepper spray will be extremely effective in very dense areas and with the multiple bursts, you could also take down multiple targets in very close succession. The Frontiersman Bear Spray with chest or belt holster is designed to give you maximum stopping power and to ensure that you can have peace of mind when venturing outdoors. 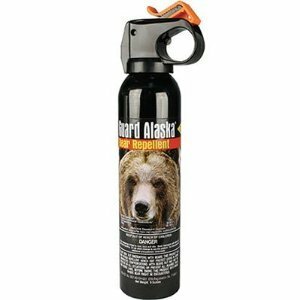 The bear spray comes in the standard 7.9 ounces can and it has an impressive range of 30 feet. This will keep the bear from ever really reaching you and will ensure that you have enough distance to escape. When purchasing this spray, you will also receive a very versatile holster and this holster can be utilized and strapped to either the chest or to the belt. The bear spray is also readily available and you will have it in your hands and ready to spray in no time. This bear spray is also really effective at night and with the glow in the dark safety pin, you should see the spray and be able to use it at night as well. With 2% capsaicinoids, the bear spray will be really potent when it comes to creating that irritating feeling for the bear. This bear spray is a little expensive and if you do need more range or even a bigger canister, the 9.2-ounce canister will give you around 35 feet of distance to ensure that the bear cannot reach you in any way. This bear spray will be one of the safest options to go with. 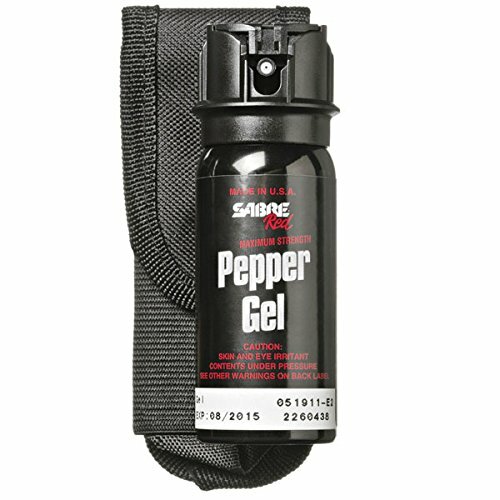 The Sabre red pepper gel is another very effective pepper spray that can be used in the bear country to keep those pesky bear from bothering you and also stop any potential attacks from happening. 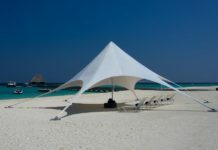 This spray also only offers you a short range of around 18 feet, but it does also reach up to 20 feet to ensure that you have that extra amount of time to try and get away. This spray can also give you around 18 bursts to ensure that you are able to stave off the bear multiple times and even attackers if you should find yourself somewhere in danger. You will receive an added holster that can be placed on the belt and also the chest of needed. This will ensure that you do not get caught up searching for the bear spray you need it most. We really like the relatively cheap price, but we once again have to mention that we are concerned about the reaching distance of the spray. This spray is highly rated amongst the top police officials all around the world and it will also be very effective for you to use in nature when you are trapped in a very dense area. Last but certainly not least, we have the Bear Guard Alaska Bear Pepper Spray. This pepper spray is also designed specifically for you to stave off the bears in the wilderness. The spray is available in a decent 9-ounce can and it will give you an effectiveness distance of around 15-20 feet. This might not be ideal, but it will still be effective enough to keep the bears away. This spray can also include a very versatile nylon holster that will give you the opportunity of always having the spray on hand. The holster can easily be strapped to the belt or even to the chest if that is required. In terms of pricing, this spray is relatively cheap and will be great for those looking to camp or go backpacking without taking something extremely heavy along. 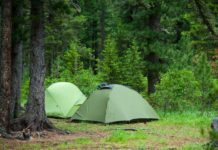 Bear spray will be quintessential when you are backpacking and we really hope that you now have a better insight when it comes to selecting the best one. We would like to recommend The ﻿﻿10.2 oz. Counter Assault Bear Deterrent as our number one choice. This spray is quite large and will definitely give you that effectiveness range that you might be looking for. If you have any other sprays that you think we might have missed, please let us know in the comment section and we will do our best to do some added research on them.